L-R: Abimbola Umozurike, Manager, Prepaid Call Centre; Sanjib Roy, Region Director, Planning and Technical, and Eric Uwaoma, Coordinator, Enterprise Group, all of Globacom, at the launch of Glo Data Revolution in Lagos on Monday. Nigeria's biggest data network, Globacom, has again raised the bar in the telecoms industry, this time in the area of internet service and data offerings with the biggest offer ever to data subscribers in the country and an exclusive partnership with iflix, the world's leading entertainment services for emerging markets. 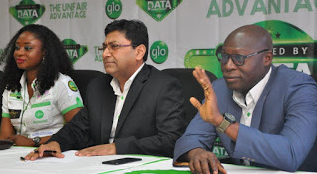 While launching the super-size offer, which it calls the New Data Revolution on Monday at the Mike Adenuga Towers in Lagos, Globacom's Regional Director, Planning and Technical, Mr. Sanjib Roy said the new offer gives an unfair advantage to Globacom subscribers and unmatched data packages to new subscribers and existing subscribers who renew their data subscriptions before expiration on both 3G and 4G. With the new offer, both new and existing subscribers who renew their subscriptions before expiration will get up to 4GB of data for just N1,000. This 4GB data, for example, translates to about 4,000 pages of web browsing. Similarly, 12.5GB is given for a N2,500 data bundle. This, for example could be used for 250 hours of content broadcast. In a similar vein, subscribers stand to gain 24GB for N4,000 and a massive 30GB for N5,000. The 30GB for N5,000 can enable the subscriber enjoy videos for over 600 hours, for instance. Roy also revealed that for small plans, new subscribers and those who renew, a N100 subscription will give the customer 90MB bundle; while for N200, they will get 250MB with which they can send 400 emails for example. For N500, the customer gets a whopping 2GB of data, which the subscribers can use to do 10 days of unlimited chatting, if need be, he explained. The Glo Regional Director said that the new bundle offers are unprecedented and the biggest thing in Nigeria's telecom data market so far. 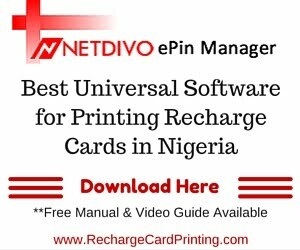 "Never has the subscriber to any network in Nigeria had it so big and so good. All you need to do is get on the Glo data network and stay on by continuing to renew your subscription to enjoy the benefits that give you the unfair advantage over other data users", he said. Speaking on the Glo/iflix partnership Roy said that it is to give the teeming subscribers of the telecoms firm, 60 days of unlimited access to the world's best television programmes, series, movies, cartoons and more on their devices. Subscribers need to send "Buzz" to 105 to access the iflix service on Glo Café. 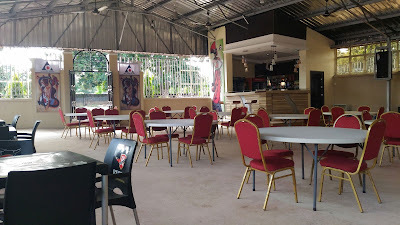 In addition, Globacom also offers to subscribers who recharge up to N500 and above free YouTube streaming from 1 am to 5.30am. Youtube is a popular video-sharing site that allows users to upload, view, rate, share, add to favorites, report, comment on videos. All the subscriber needs to do is to dial *777# to buy a data plan to activate the services.